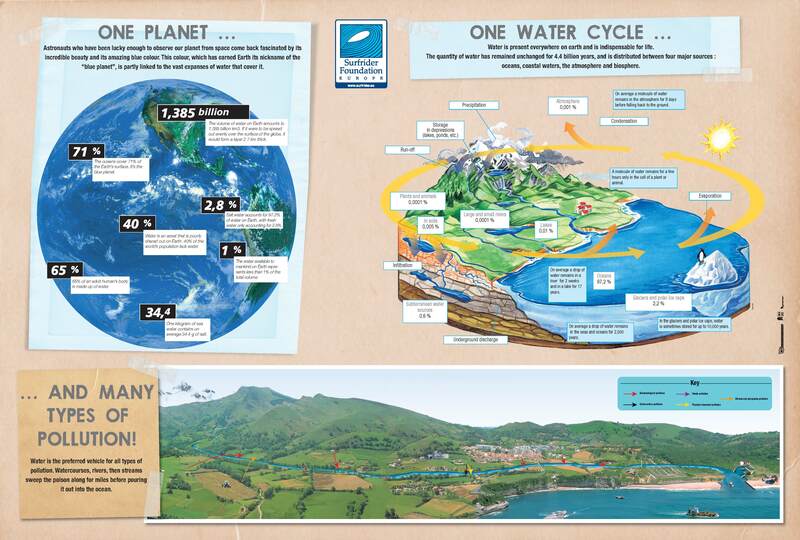 Check out the educational materials of Surfrider Foundation Europe on marine litter issues. Surfrider creates the Smurf rider booklet for the youngsters. This material helps us to understand the environmental matters on what Surfrider Foundation Europe is working for. Let's see the 4 booklet pages dedicated to marine litter! Educational tool distributable to participants, this poster presents the life of the main marine litter that can be found on our shores. 9 actions that can be done to protect our oceans, lakes and rivers. You will also find information on marine litter.